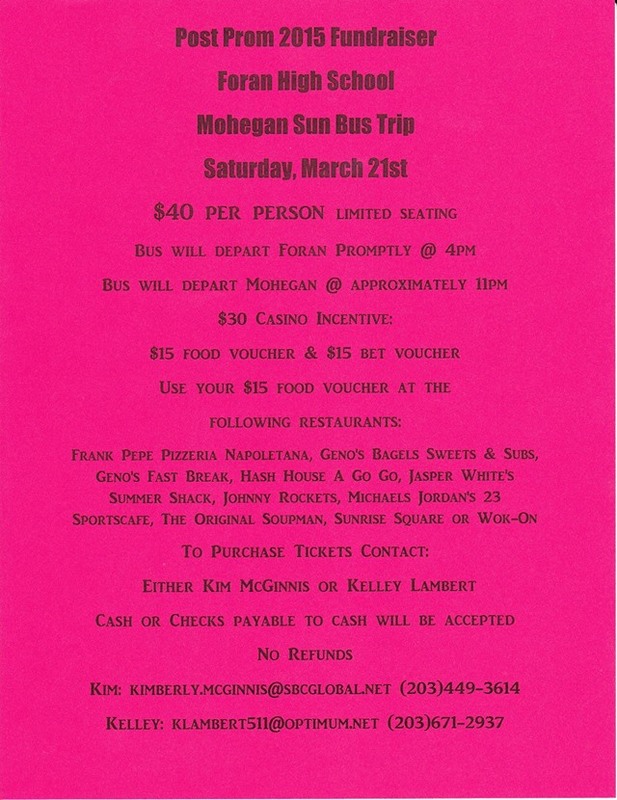 Bus trip to Mohegan Sun on March 21. Details available soon. Meeting dates are as follows: January 14, 2015 @ 7pm in Foran HS Cafe; February 18, 2015 @ 7pm in Foran HS Cafe & March 18, 2015 @ 7pm in Foran HS Cafe. 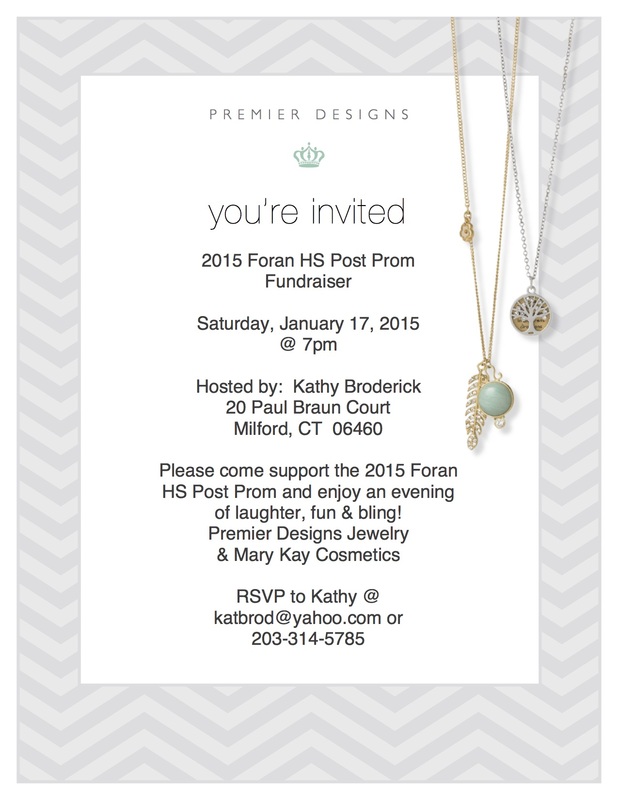 Stop in to Uno’s and 20% of your total (dine in or take out) goes to the Foran Post Prom 2015! Be sure to bring your coupon with you. Shelby, please be sure to list these on the website as well. Thanks. I would like each person running a part of the post prom event to give an update at the meeting. Don’t forget, tomorrow is our Uno’s fundraiser! Please be sure to invite everyone you can!!! I’ve attached a copy of the coupon that needs to be turned in for Foran Post Prom to get credit. We’re setting up this page and putting up info as quickly as we can.